Soccer is one of the most popular sports around. 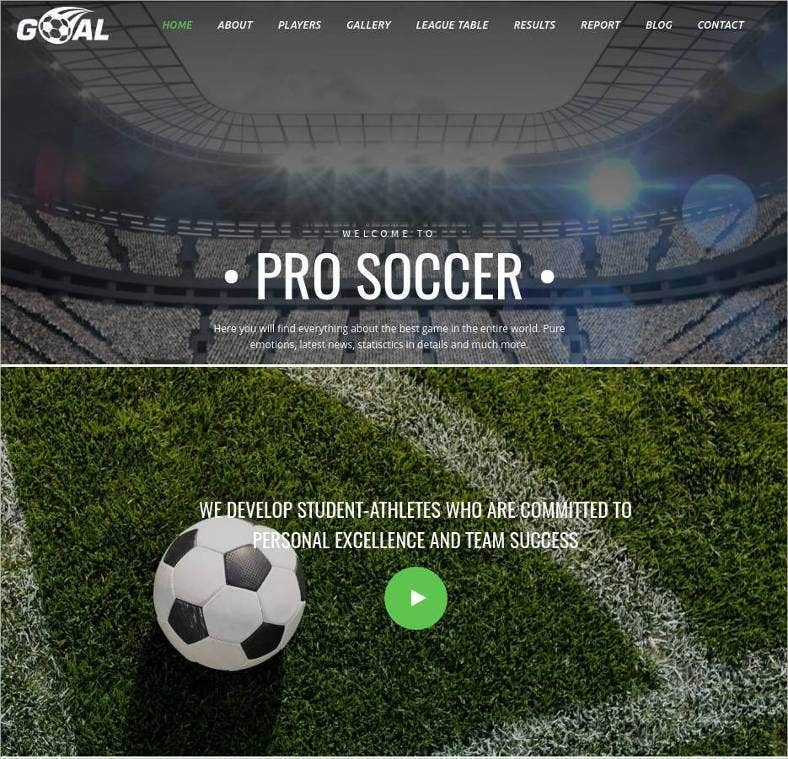 Thus, it stands to reason that there are many people looking to make their own soccer websites to make their own speculations available to other fans. 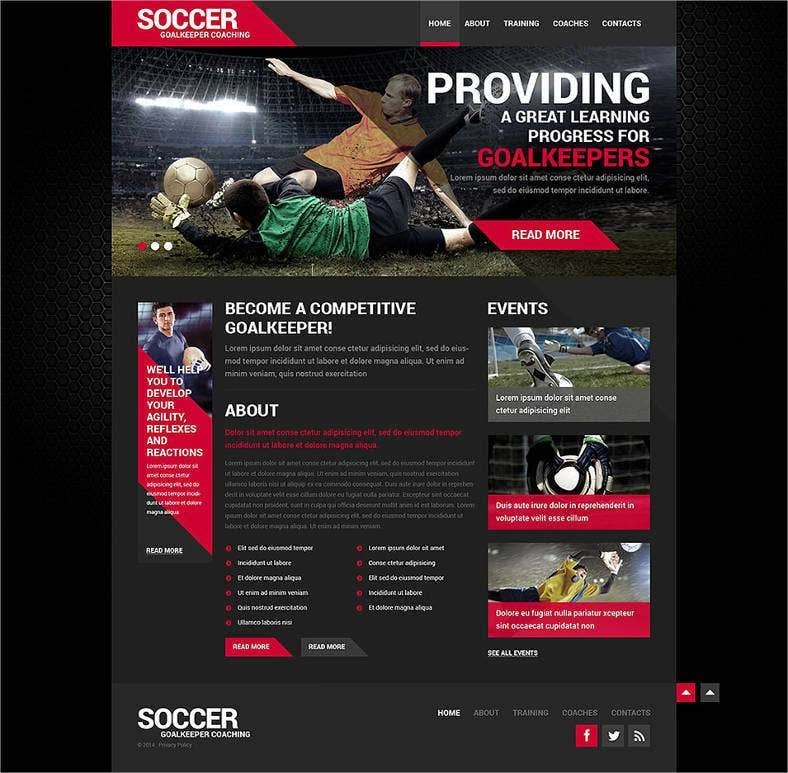 Anyone looking to make a soccer club website templates has a lot of options available. 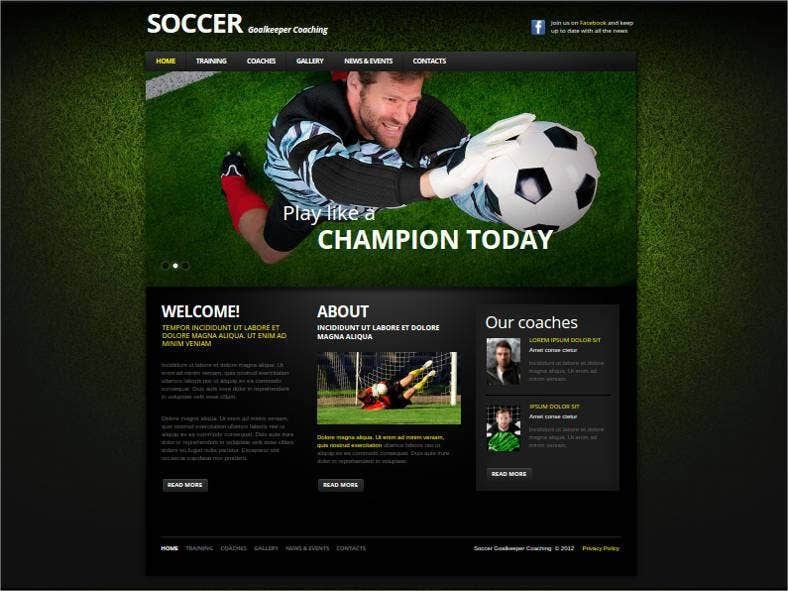 However, picking out the website template is a very important part of setting up the project. 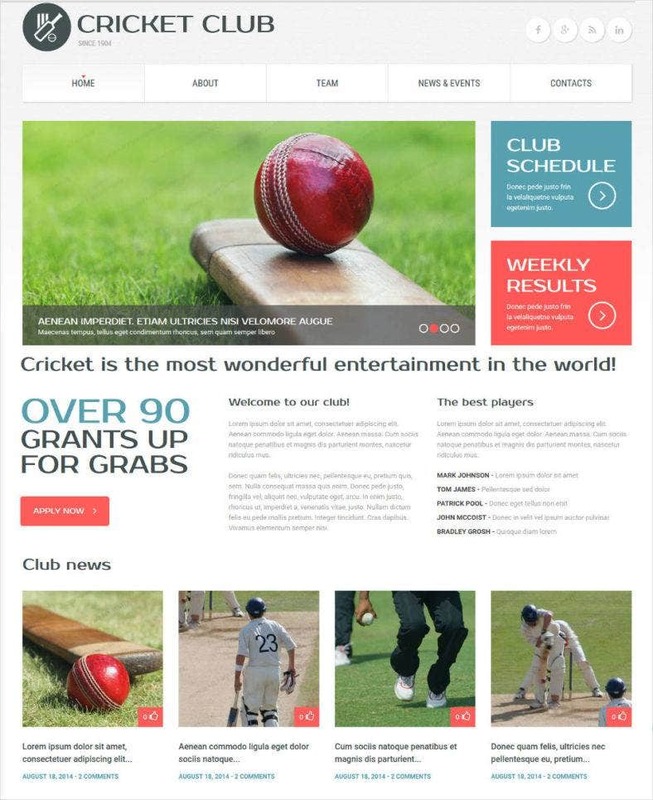 You May also visit Sports Club WordPress Themes. 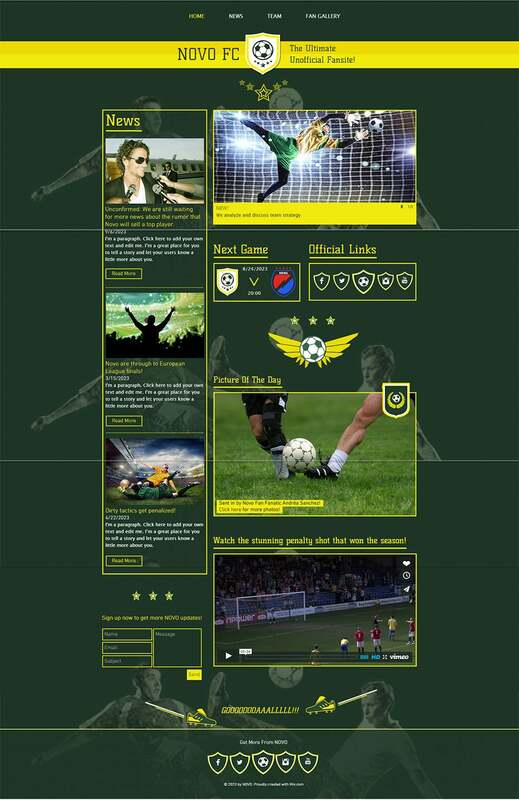 When you’re building a soccer club website, it important that you choose a color palette which is football-related. Colors such as red, blue, black, green and white always work – they are football colors. Make sure the colors you pick are not too overpowering on each other, there must be a healthy contrast so that the visitor does not feel tedious while browsing on your website. 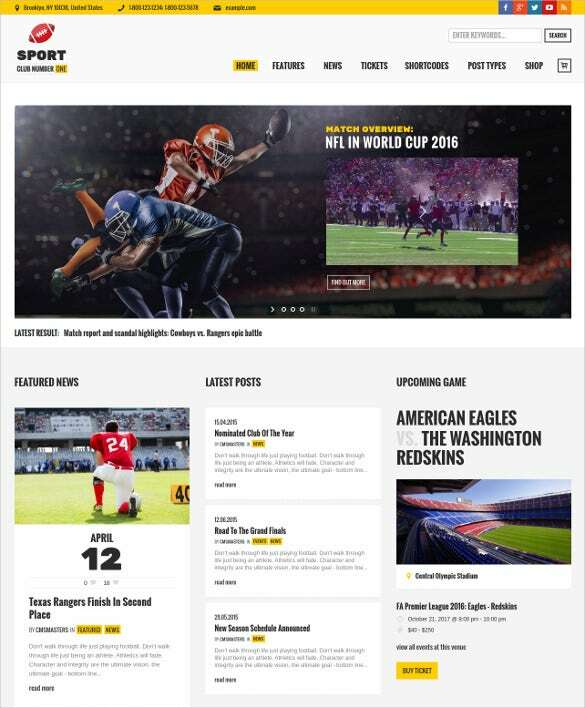 You can also see games website templates. 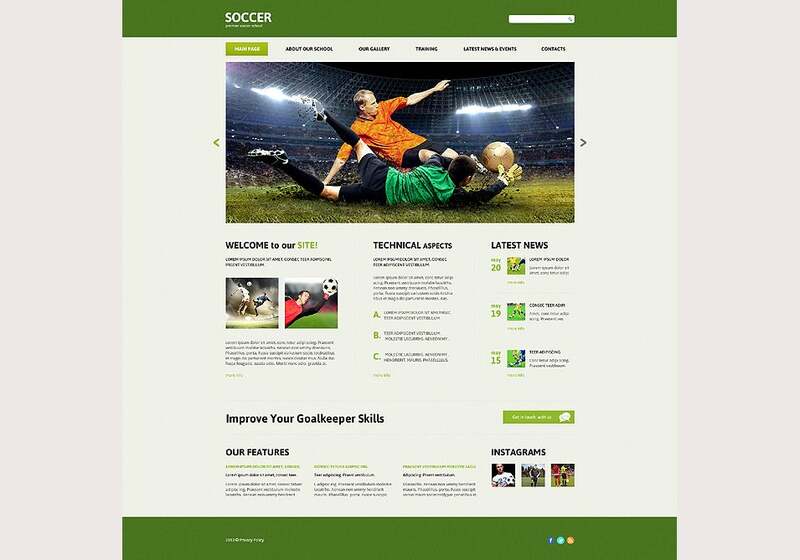 Soccer Responsive and sporting a sleek design, this template is also cross browser compatible. It ships in with it HTML+JS animations, with a 2 column layout, integrated Google Map, Google Web fonts etc. 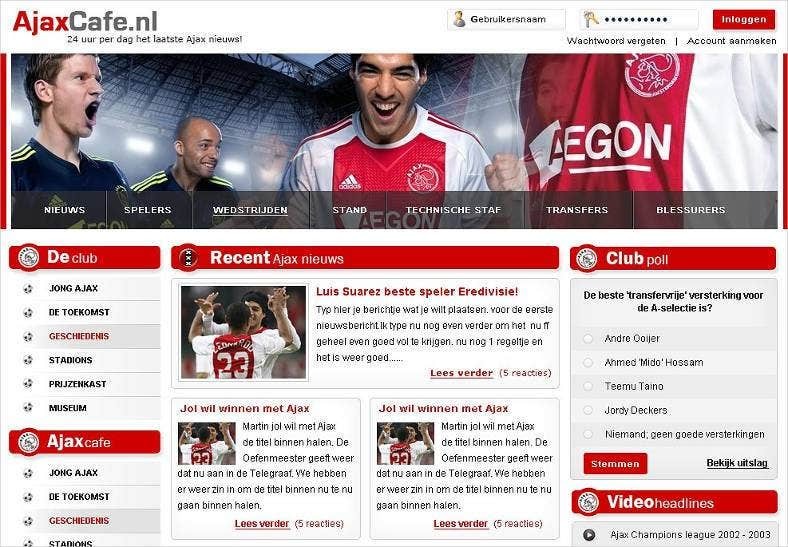 Every soccer and sports team has a website of their own. 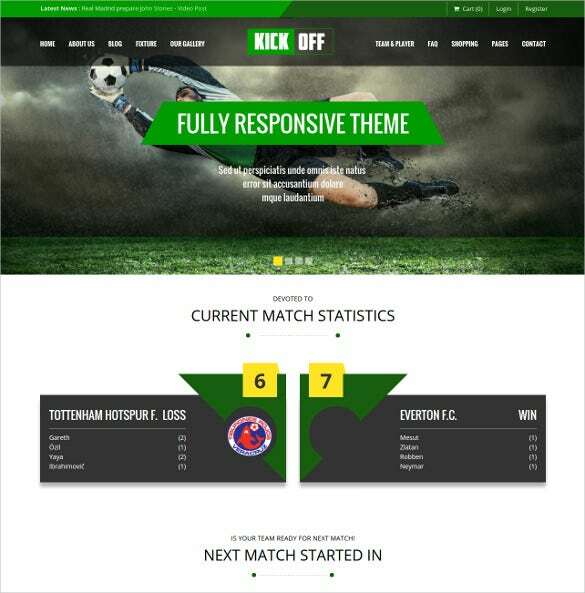 The website showcases the information about the team and the latest match results. 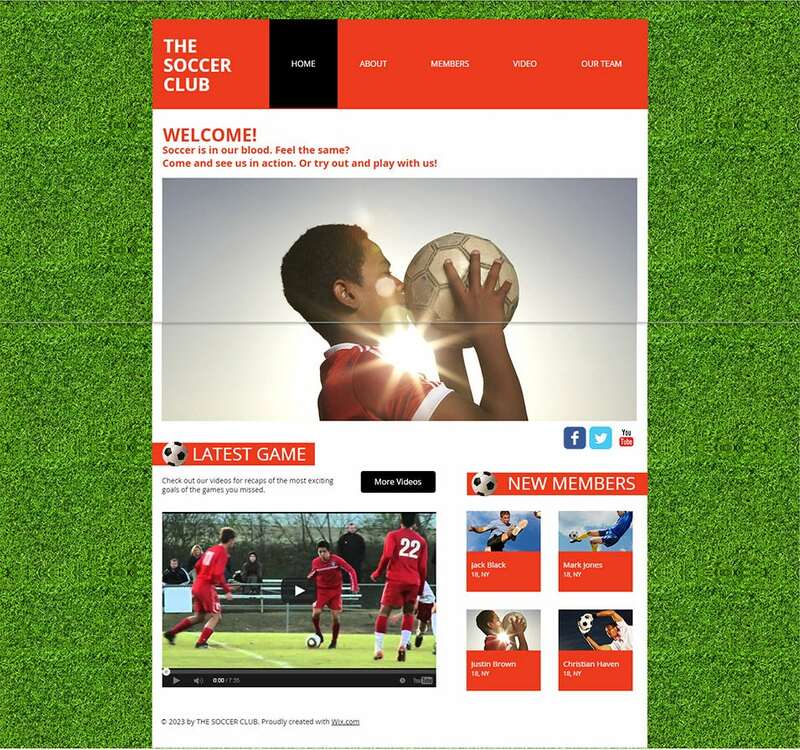 Apart from this, there is a lot of information on the website and youth soccer ball teams make sure to have a website of the club. Most of the developers use HTML templates. WordPress is a common platform for the development of blogs and these bloggers usually download the website for WordPress Websites and use them directly on the blog or the website. 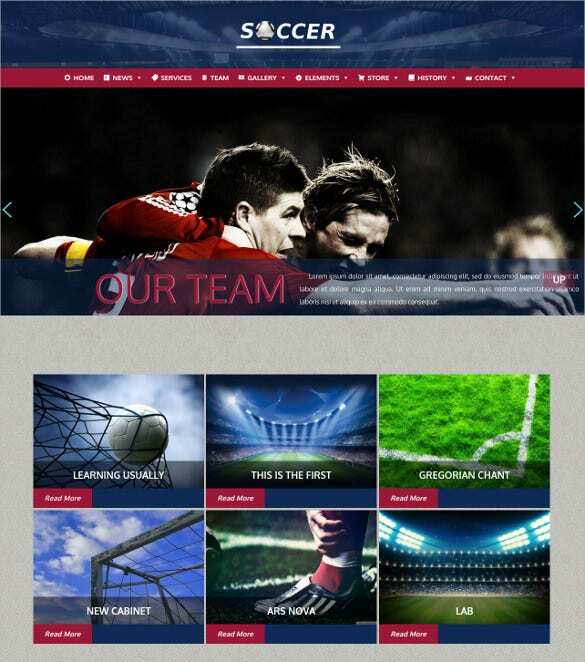 Apart from the team, soccer clubs also have a website. 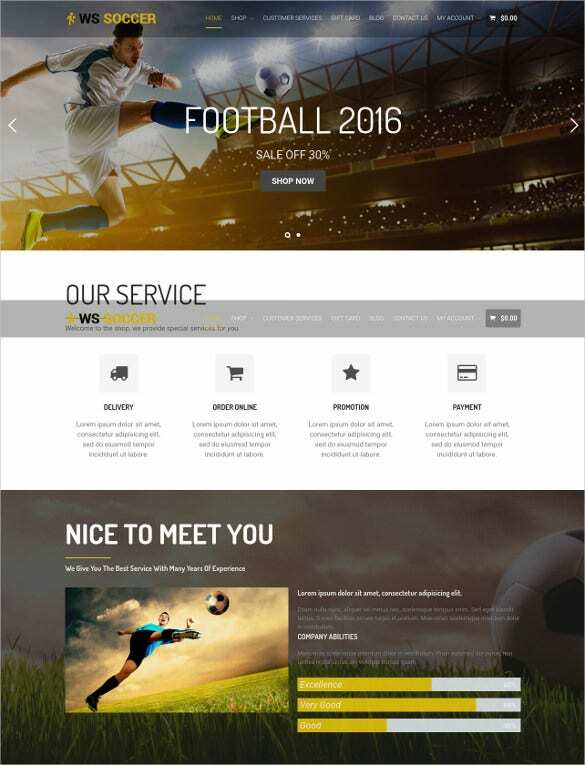 The website of soccer clubs is a little more specialized as they have a higher budget and a requirement towards the higher end. 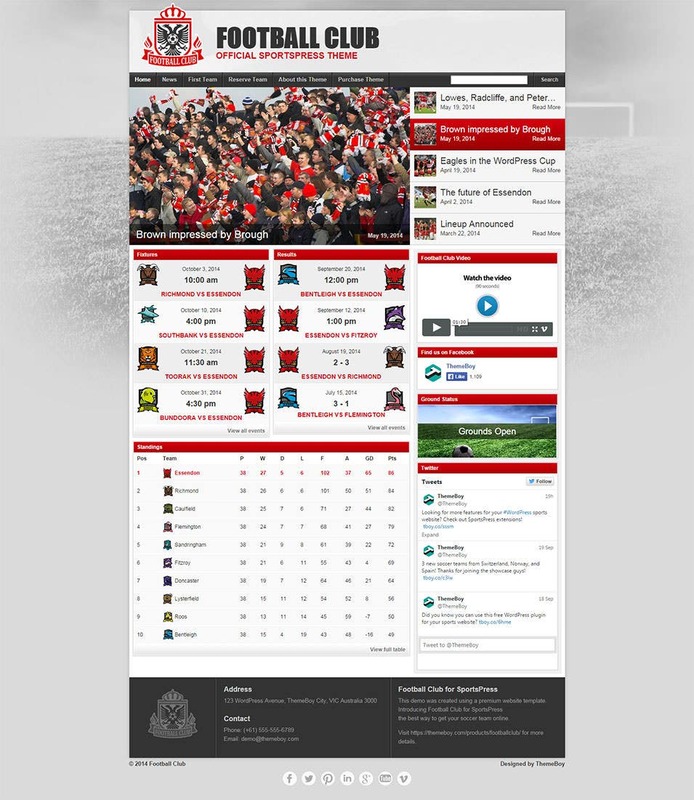 There are templates available for the use of football clubs as well and most of the people prefer using these templates directly. 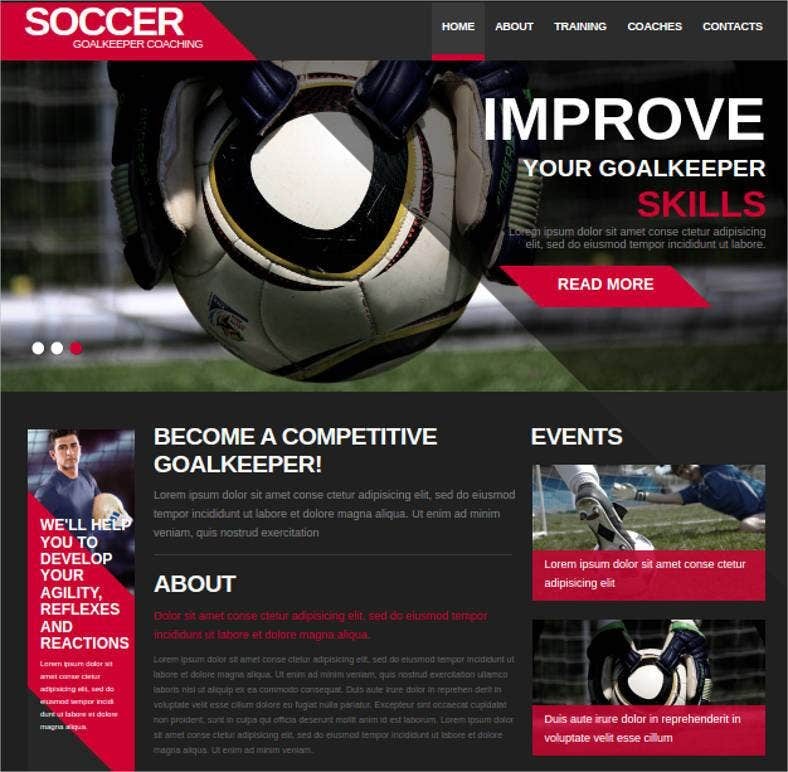 There are a lot of website templates available for the development of the website which can be used. The templates are available free of cost as well as for a price and in addition to this, a lot of website builder has these templates built in for the use of development purpose. There are many developers who prefer development on Joomla and these websites can be made in responsive formats. The website enables easy integration of existing modules to any downloaded template. 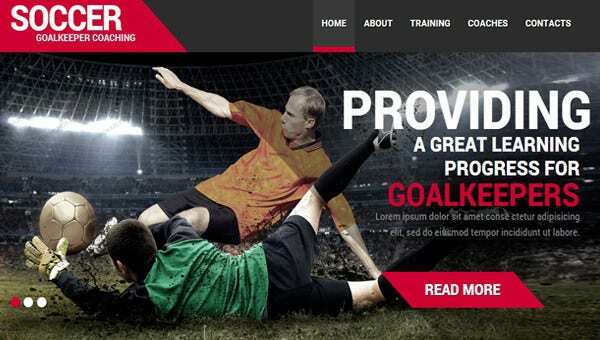 Soccer is a 100% responsive and cross browse compatible template. It comes with a great design but is also highly customizable. Included shortcodes, fonts and icons make it very easy to change the look and feel of the template. 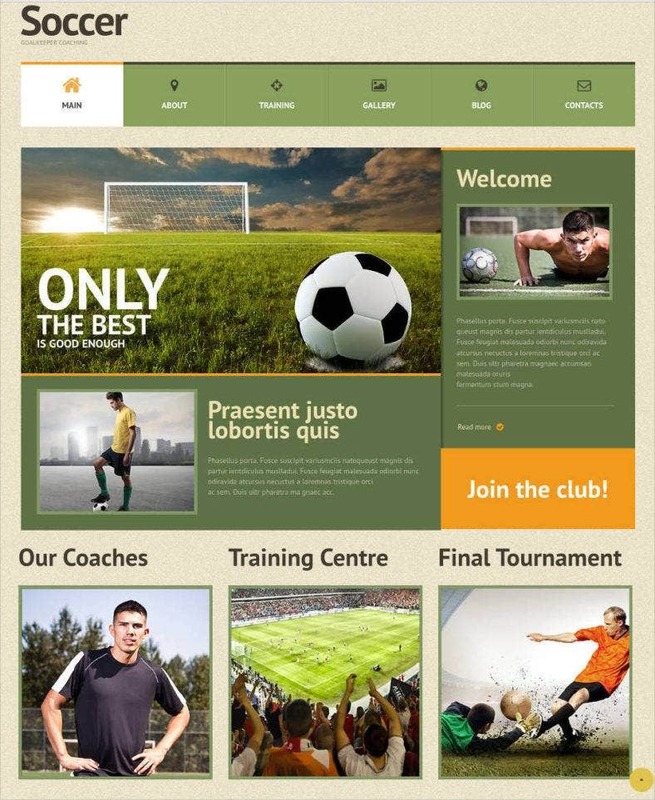 Football Club sports a versatile design and is highly customizable. It is fully responsive and comes with preloaded shortcodes. 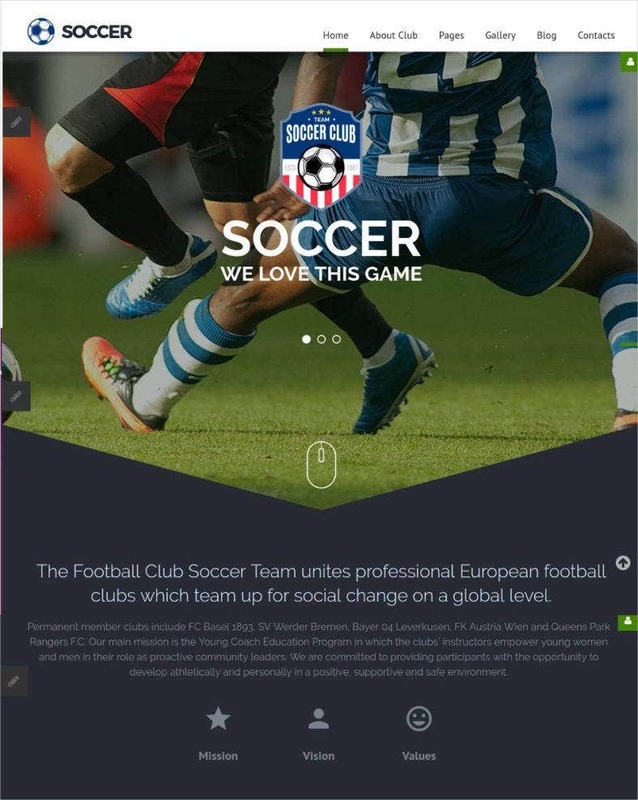 Also social media icons are integrated for easy sharing, liking and commenting.You can also see Football WordPress Themes. 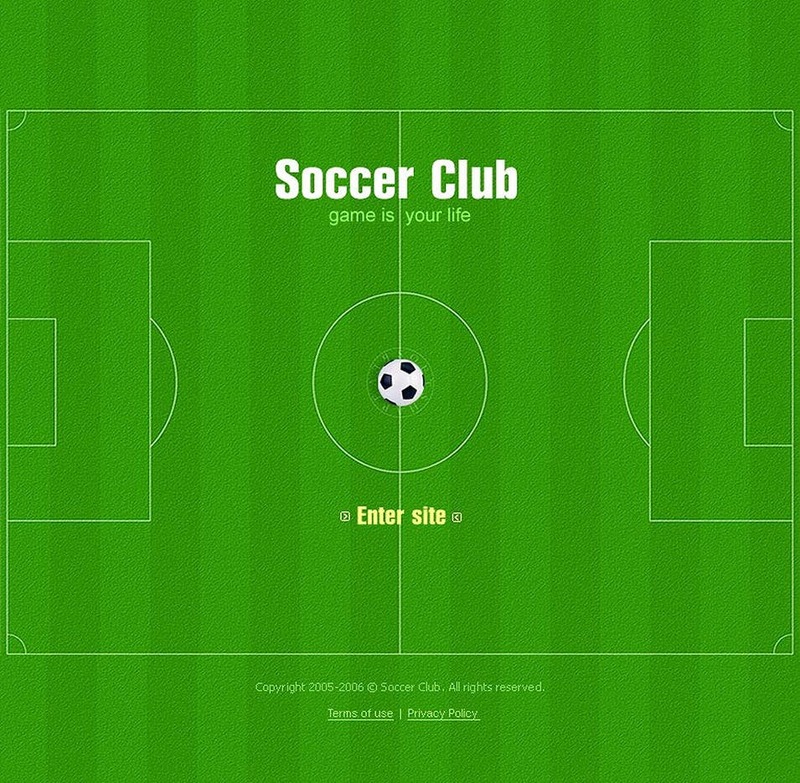 Highly customizable, The Soccer Club is also responsive and runs on all major browsers. The design is simple but elegant and will keep users interested. While integration of social media icons allows for easier sharing. 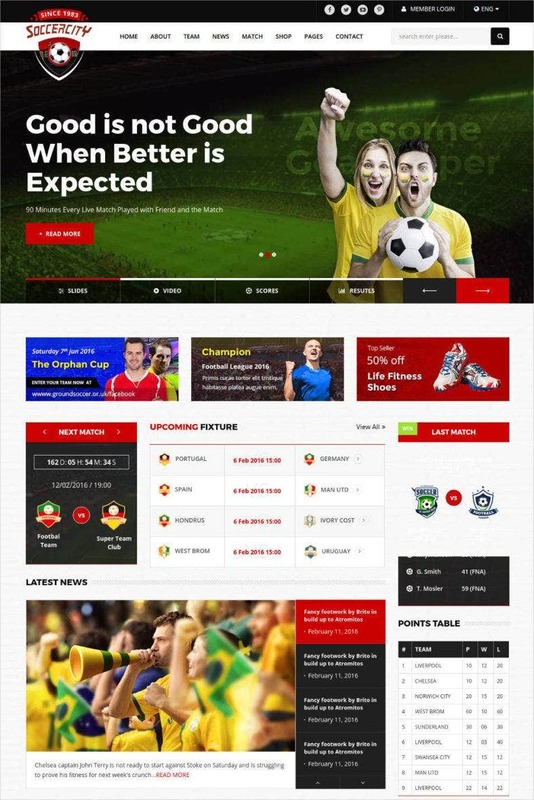 It is not just bloggers who use WordPress website, a lot of sports clubs also use these formats and the main advantage of this is the ease of maintenance. 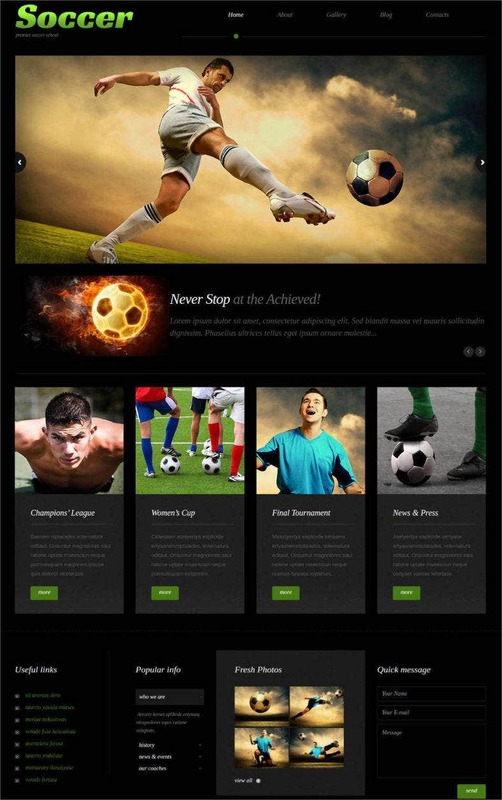 These themes are also available for free download.you may also see Sports WordPress Themes. 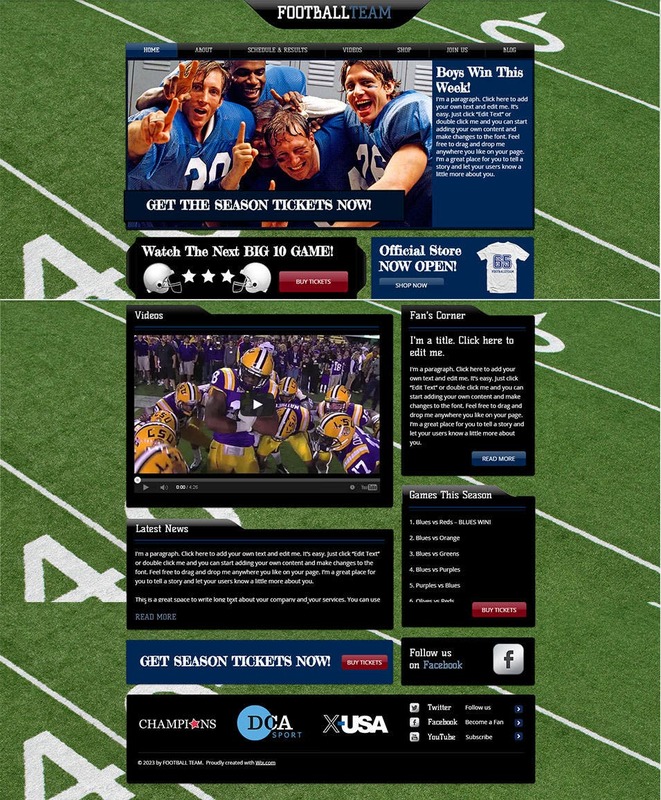 There are many telecharger template football available on the web and there are many people use this kind of templates. 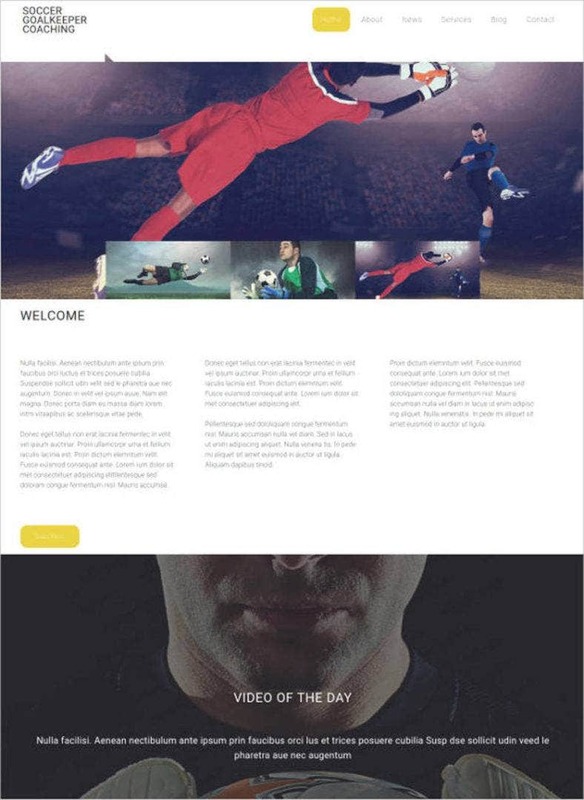 The website builders also have these types of templates for the development. 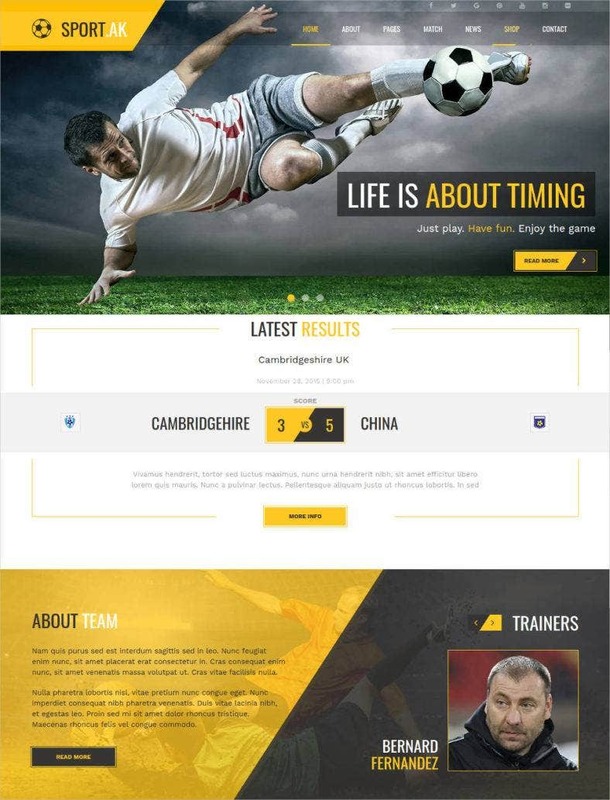 The template of football websites are also available in CSS and these gratis templates can be integrated with existing CSS modules. 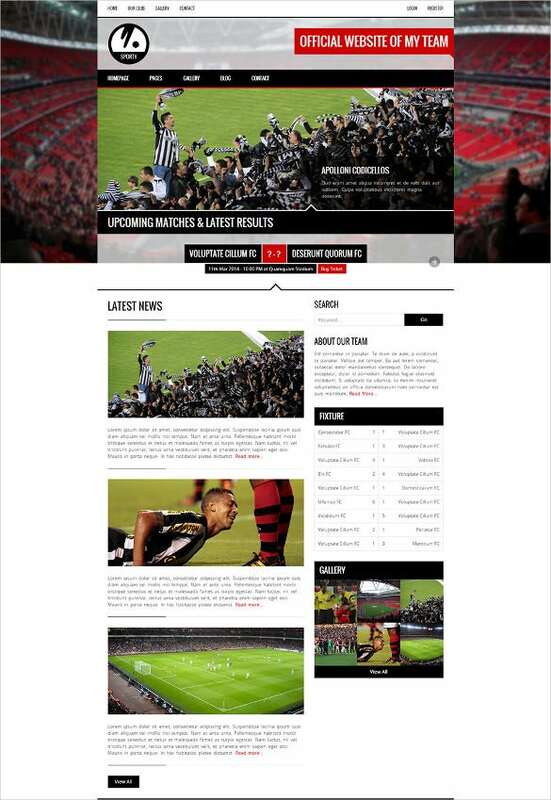 Most of the football league website uses these types of templates. 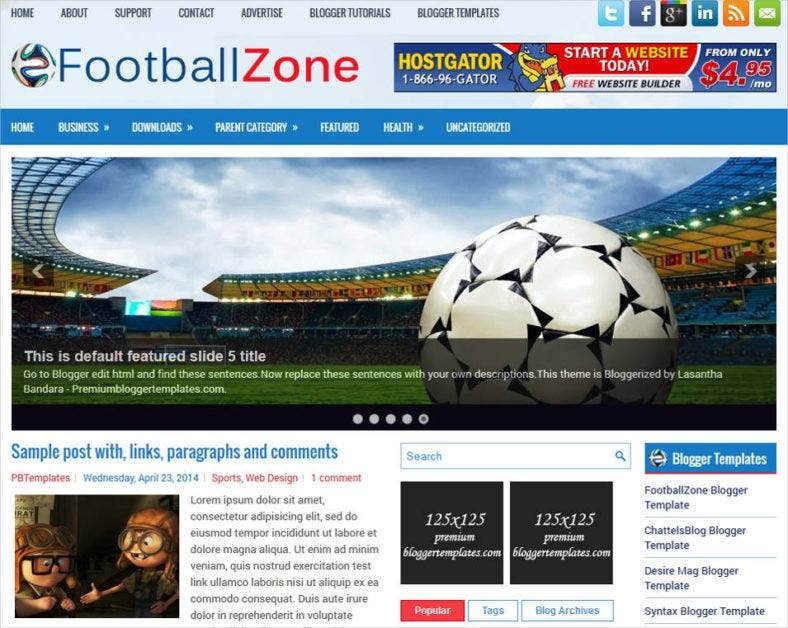 There is a huge web space for football bloggers and most of the bloggers are the football fans and these people use templates of the website which are available for free download. The main advantage of using the free downloadable template is the cost of the bloggers are not getting a lot of financial benefit from the website. 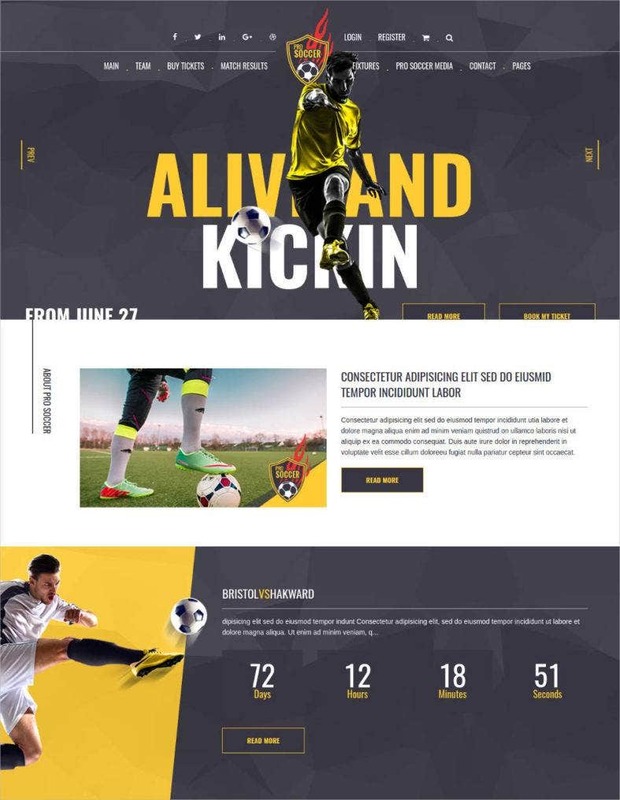 Whether you’re building a website which is generic and favors all soccer clubs based on their performance and rank or it is for a particular football club, the textbook rule of website design: stick to football colors only and mix them up based on relevance to the soccer club you’re a rooting for on your portal. 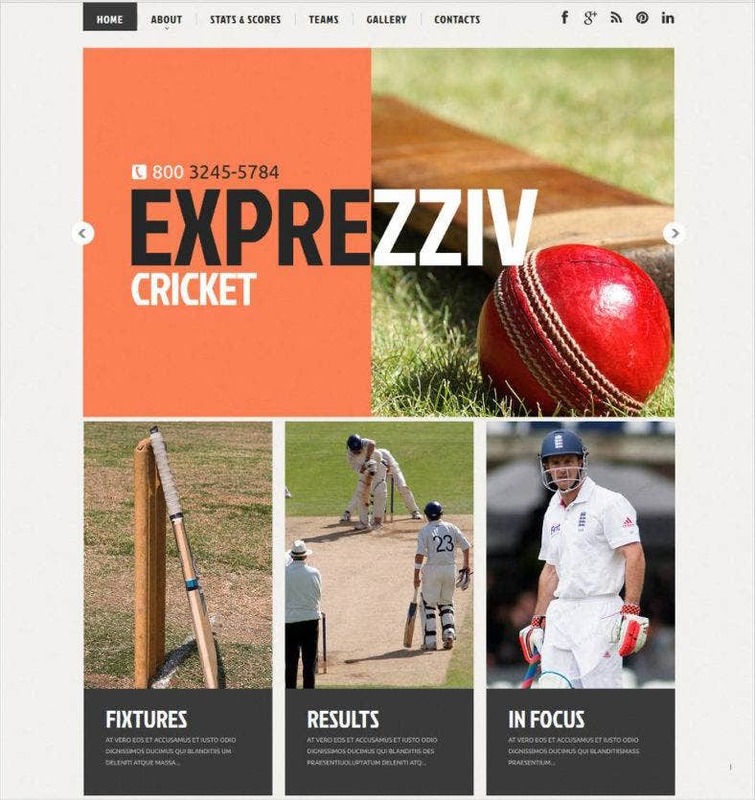 you may also like sports website themes.